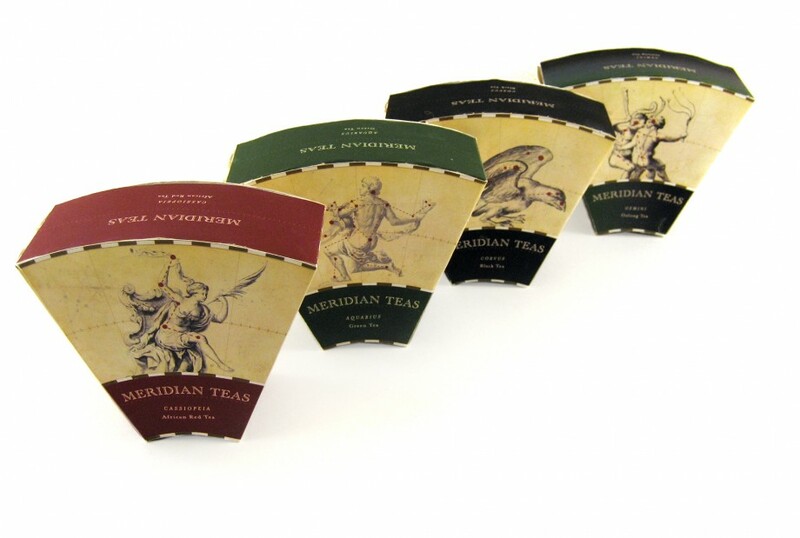 Packaging design for Meridian Teas, a high-end seller of loose teas. 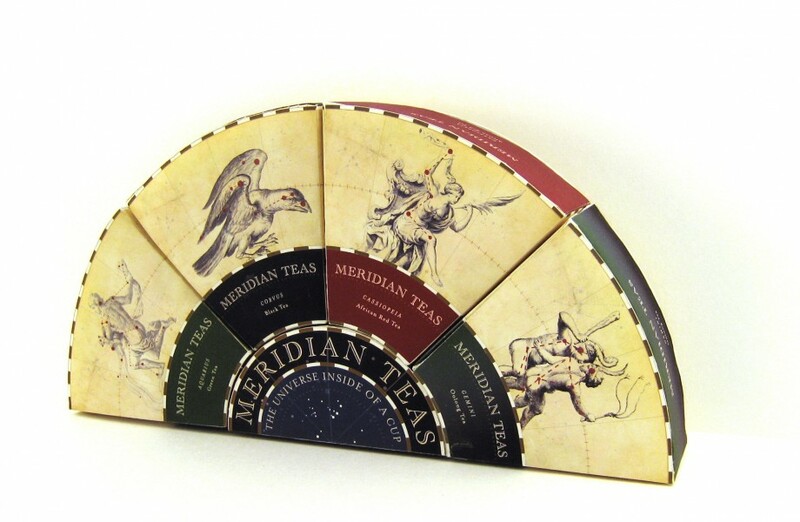 Each flavor is color-coded and named after an appropriate constellation. Package features a built-in pour spout.